Farm Brushes and Stamps! And a Freebie! I LOVE using newsprint overlays and graphics in layouts. Blended into a background, they can add so much character and visual interest! Norma demonstrated this for us today, using Farm Fresh. 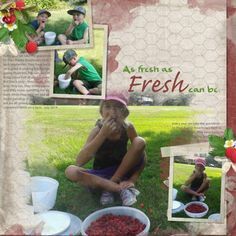 She first created a layout without the use of the Farm Brushes and Stamps. Here is that layout. It’s beautiful as it is! But then she created a second version incorporating the Farm Brushes and Stamps. Here is that layout. It’s a matter of personal preference; but I really love the second layout, where she has created additional interest with the stamps. Not sure how to use digital stamps? 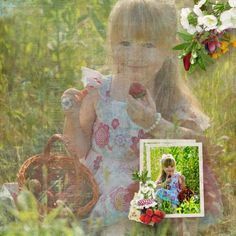 Just place them on a layer above your background paper (or subject of choice), and experiment with blend modes and/or opacity levels of the stamp. Add a layer mask to them, to brush away parts that you don’t want, if you like. You can also color them (Edit > Fill) or even add a style to them if you like! Farm Brushes and Stamps come with a commercial-use license, but are perfect for the personal-use scrapper as well! Enjoy a 25% introductory savings on individual packs or consider the Duet pack, which contains both Sets 1 and 2, offered at a 40% savings. Farm Brushes and Stamps are the perfect complement to my new Farm Fresh Collection! 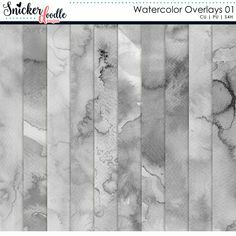 Enjoy introductory savings at SnickerdoodleDesigns and theStudio! Here is a Farm Brush and Stamp for you to experiment with! love the brushes! thanks for the awesome sampler. I think I like this kit so much because of the chickens. My brother is very hard to shop for, and a client always gave him a chicken calendar every year. So of course my sister and I jumped on the chicken bandwagon, we are always on the look out for things with chickens to give him. I found a cute glass jar with a chicken ceramic top, that i’m going to make into a candle for him this year. Thanks, can’t wait to use them! I love it, thank you Karen. And your Kit is fabulous!